Gurgaon-based Aspiring Minds, an employability assessment company, has acquired Mizcoin, a Noida-based mobile software development company, for an undisclosed amount, the company said on Tuesday. 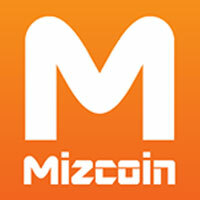 As part of the deal, the Mizcoin team will join Aspiring Minds' product research and development business. "Mizcoin extends Aspiring Minds' mobile product capabilities, helping us reach more job seekers and deliver even greater value to our customers globally," said Himanshu Aggarwal, co-founder and CEO, Aspiring Minds. Founded in 2014 by Inder Kumar, Nikhil Aneja and Sunny Choudhary, Mizcoin has been involved in building mobile applications for various platforms across Android, iOS, and Windows with strong capabilities in gaming as well. Before co-founding Mizcoin, Kumar Aneja and Choudhary were working with Location Labs. "We believe in Aspiring Minds' vision of revolutionising job matching using assessments and credentials and are excited to become part of this vision. We are confident that our well developed capabilities in mobile technology should add great value to this product story," said Sunny Choudhary. Founded in 2007, Aspiring Minds offers employability assessments, connecting talent, talent benchmarking and analytics to information technology, small & medium enterprises, hospitality, life sciences, banking, financial services and insurance, knowledge process outsourcing and information technology enabled services. US-headquartered firm Aspiring Minds serves more than 1,100 corporations and 4,000 higher education institutions. In 2011, the firm received an undisclosed amount in Series A funding led by Omidyar Network, besides participation from former Ranbaxy Laboratories CEO DS Brar.